In October 1968, the Newport Restoration Foundation was officially incorporated – fifty years later we invite Newport to celebrate the work that’s been accomplished and the exciting road ahead. Admission to Rough Point, Doris Duke’s Newport home and the site of the earliest NRF’s annual board meetings, is free all day. 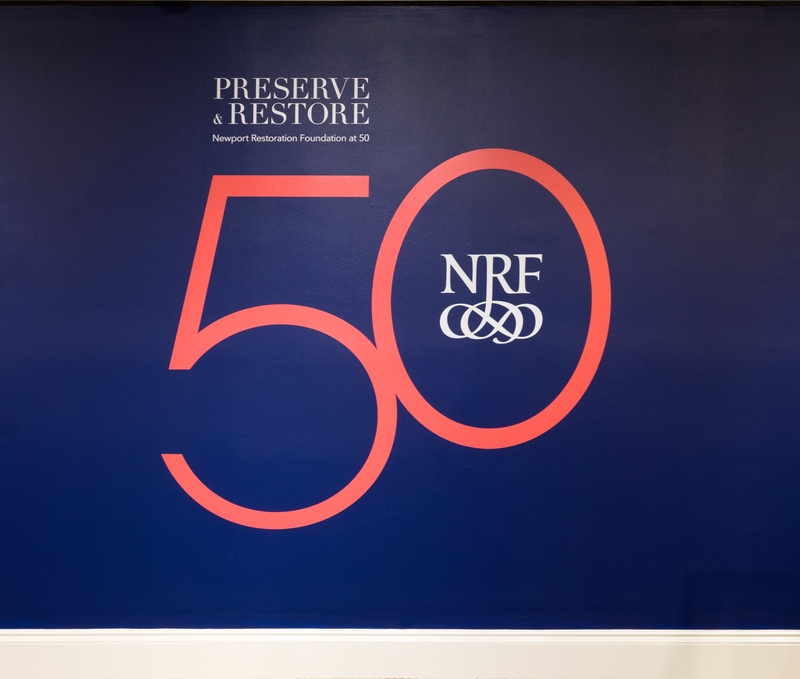 Stop by our special exhibition, To Preserve and Restore: Newport Restoration Foundation at 50, or learn more about the singular personality and wide ranging passions of NRF’s founder, Doris Duke. Vernon House, one of the newest additions to NRF’s collection of 18th century buildings, will be open to the public for an evening of community and celebration. Drop in to say hello, explore one of Newport’s most fascinating buildings, and toast to the next 50 years! Light refreshments will be served. Let us know you’re coming — register here or at the link above.